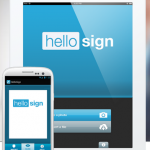 There are many document signing tools and processes out there. They have existed for 5 years or more. But they have mostly been for technical users. 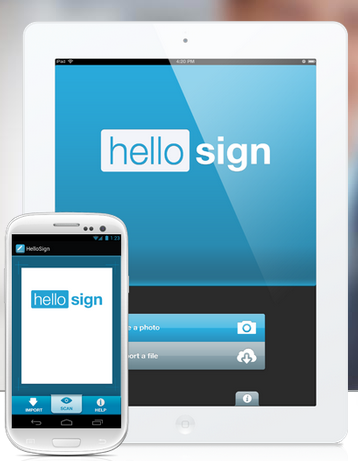 A few months ago I installed HelloSign a GMail integrated document signing solution. I experimented with it before but until today I never used it on a real document. I’m writing now to say I used it to work with a Vendor that needed a working agreement signed and today I am in the middle of a lot of arranging and paper-work. You know those days that small business owners have where you are arranging, calling and pulling together information. Ealier today I filled out a W9 that a client was asking for, no our EIN was not sufficient, so I pulled out my trusty standby PDFill (another wonderful tool but more about that later.) I used it to fill out the fields and save it to Google Drive then shared it with our sales consultant so he could pass it along both now and in the future. This is a bit of a laborious process akin to writing in a word-processor and formatting nicely. It takes about 5-10 mins to get it right and save everything appropriately. Is this earth-shattering? no. Is it convenient? yes. Do you want it? yes. Once you use it the first time you are fully trained and setup and any document that comes again you can confidently use this. A very nice feature is it uses Google authorization so your GMail login will give you secure access to your signature and information. They have an iOS and an Android App for phones but this is not as easy to use and it will take some training to master it. I will not suggest you use this the first time on your phone if you are out in the field and have a critical document to sign and only have your phone with you. 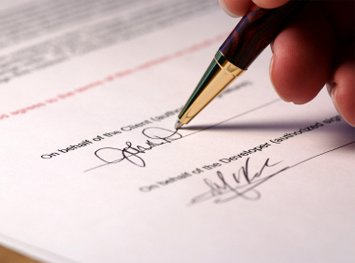 A few words here about the legal aspects of signing electronically. In my discussion with a lawyer there is mostly not a single stated physical standard on what constitutes a proper legal signature. Aside from the fact that laws vary by state the general point is this. If you can trace and show that a person agreed to something in writing the signature is not really the only things that binds them. For instance, if you can show that an email you received from a person was actually their email and that person actually sent it then there is a good chance it is a binding agreement. These electronic signatures are serving to solidify and say that the person who sent you an email and document that included this signature was indeed an agreement they entered into willingly. All of this comes with disclaimers that I am not a lawyer and I do not guarantee anything in court. 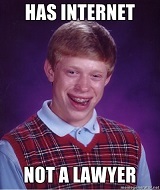 So if you are nervous about it then talk to your lawyer. From my perspective I have seen agreements established as binding because something verbalized it. That is a lot less concrete than a signature like this.